Situated just steps from the beach in the coveted Kill Devil Hills "between the highways" neighborhood, this immaculate, professionally-designed 2-story Townhome with a deck and patio invites comfort and exudes coastal elegance. This is the East End Unit with 3 bedrooms, 2 and a half baths, generous living space and stylish finishes, you'll enjoy a perfect setting for relaxing and entertaining. Enjoy gathering in the open concept living/dining area where glass sliding doors lead out to the rear patio. The gourmet kitchen will inspire your inner chef with its granite counters, granite center island with seating, tile backsplash, custom cabinetry with soft close finishes by Wolf, Kohler faucets (a total Kohler Home! ), and stainless steel Whirlpool Gold appliances, or unwind in the light and bright living room with Simonton windows (all windows in house are Impact Resistant!). Super Durable Karndean Luxury Vinyl Tile flooring in the Van Gogh Collection tie the rooms together beautifully. The 2nd floor offers three Master Bedroom Suites featuring Shaw Clear Touch Polyester Loop carpet, bathrooms complete with Granite counter tops, Wolf Cabinetry, and Kohler fixtures. The Master Suites also include large walk-in closets (plenty of storage!) plus 1 Custom Tiled Shower with Glass Door in the Main Master Bath Shower. 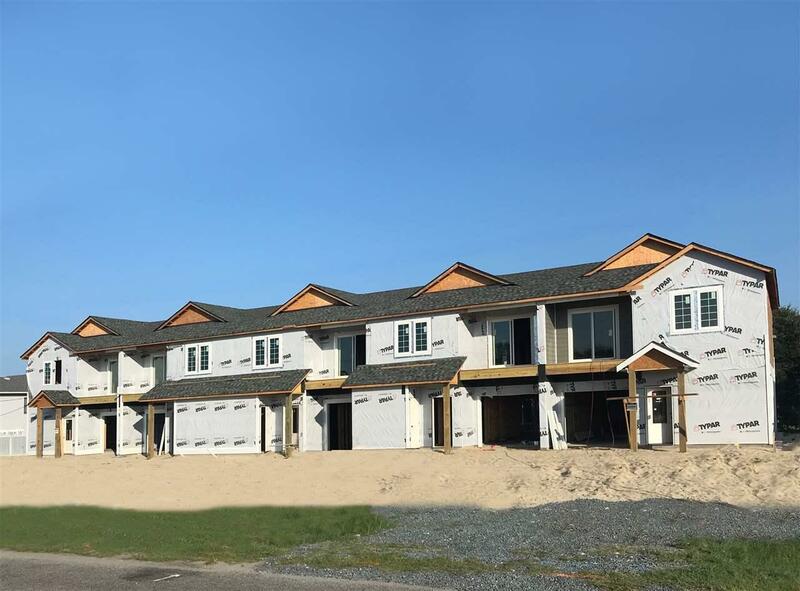 Other features include 2x6 Construction, Fiber Cement Siding, All Impact Resistant Simonton Windows and Doors, Fire Suppression System, Owens Corning Duration Lifetime Shingles, a Lutron expandable SMART HOME system, and more! The Townhomes come equipped with a TV package, blinds package and are fully furnished by Exotic Home, to reflect North Carolinas beach-loving lifestyle. You'll also love the convenience of maintenance free living, plus your own garage and additional off-street parking spot. All of this in a great neighborhood near it all with shops, restaurants, family fun and nightlife minutes away. Enjoy the life of leisure here! Listing courtesy of Sunny Berle of Coldwell Banker Seaside Realty.